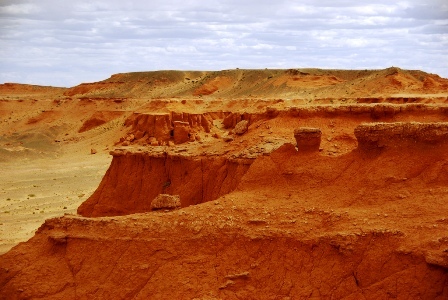 Bayanzag red sand cliffs, today better known as “flaming cliffs” due to their colours ochre and red, are located about 100 km (62,14 miles) at the northwest of Dalanzadgad. Bayanzag means “rich in saxaul”. This thorny shrub measuring approximately two meters high proliferates in the surroundings and is a good source of food for camels. 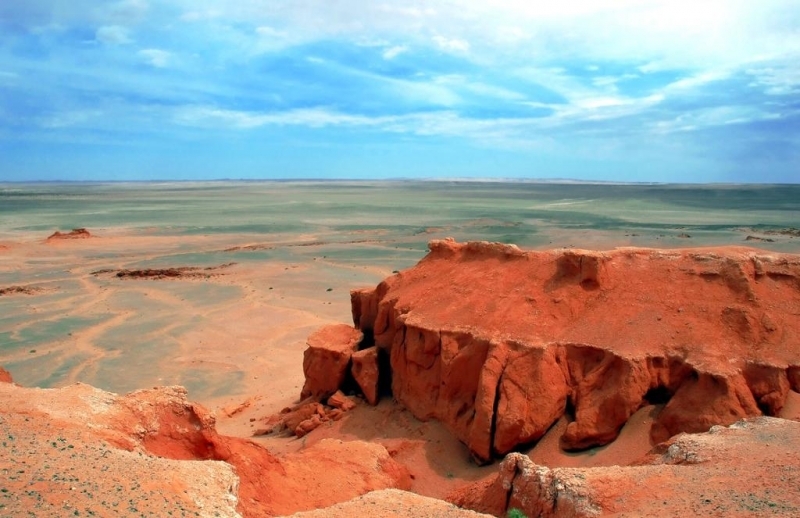 This plain has many sedimentary sand cliffs where many dinosaurs’ fossils have been found. In 1922, the palaeontologist Roy Chapman Andrews was the first to discover dinosaurs’ bones and eggs. They belonged to a horned, herbivorous, two-meters long dinosaur that was not identified yet. After this discovery, this dinosaur was called protoceratops Andrews. 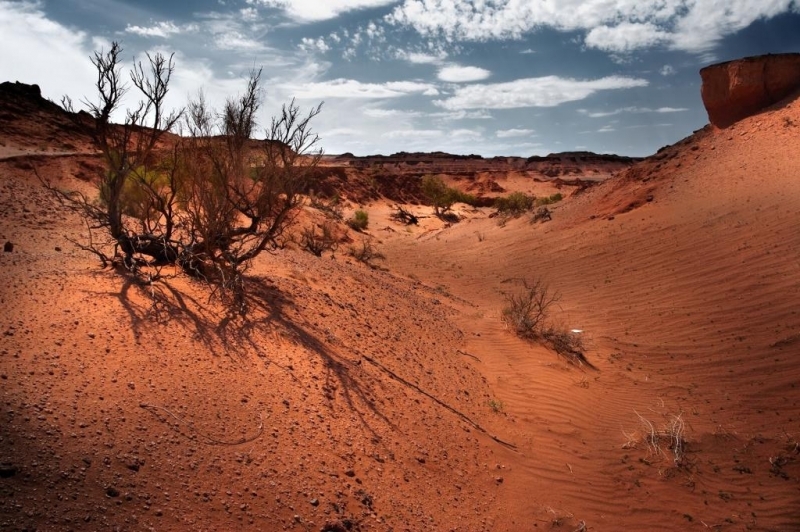 The excavations lasted two years, during which many hundreds of bones were dug up. During this period, Andrews and his team discovered a dinosaur’s nest with an eggs’ clutch. This discovery drew the whole world’s attention.